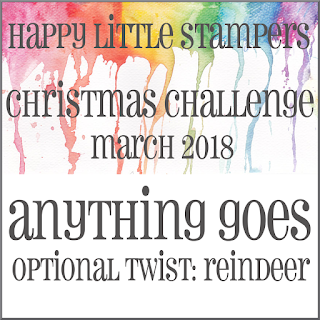 Welcome to another new month and another Christmas Challenge @ Happy Little Stampers! 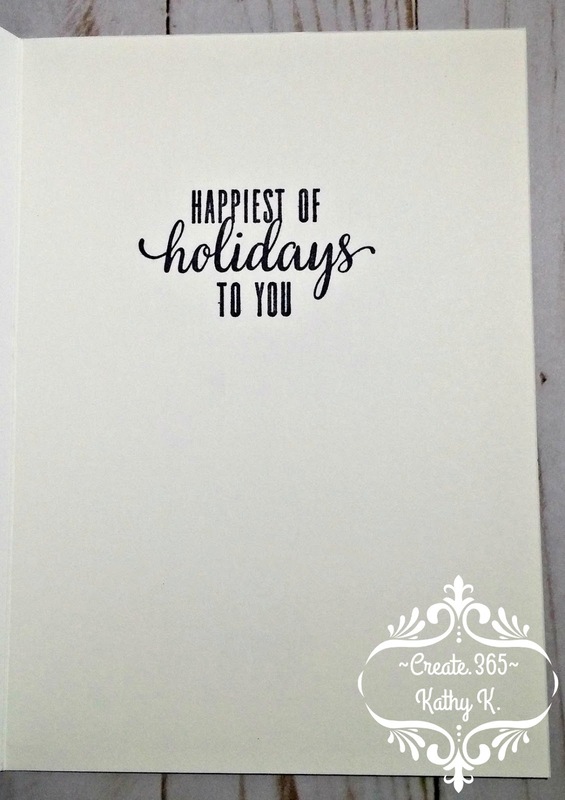 Both the front and inside sentiments are from a Paper Pumpkin kit from Stampin' Up. The coloring was done with my Chameleon colored pencils. 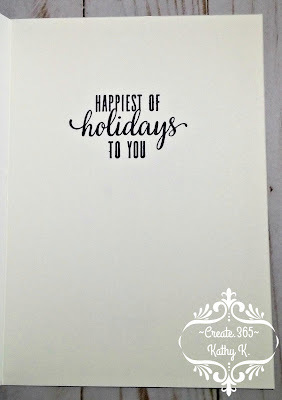 That's all from me today...until next time, happy crafting! 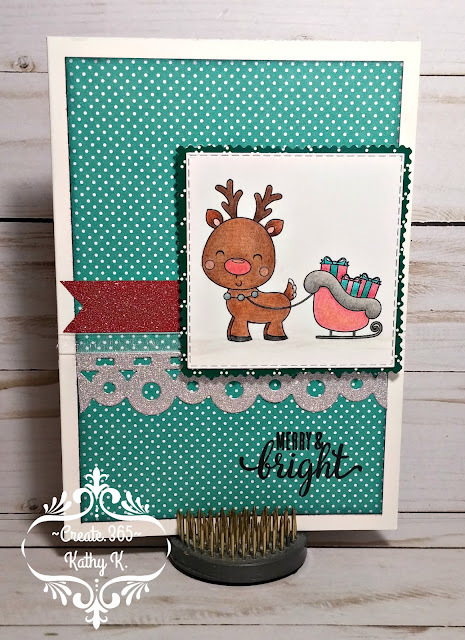 What a cute card Kathy and such a great take on the sketch. 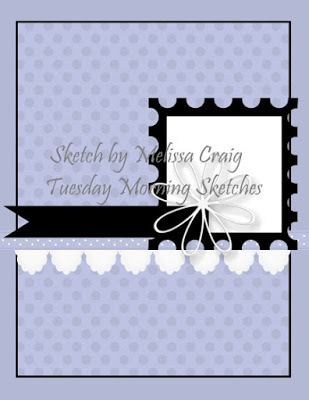 The image is so sweet and I love your pencilled colouring. The image is so cute and well colored, Kathy. It looks great with the polka dot paper. 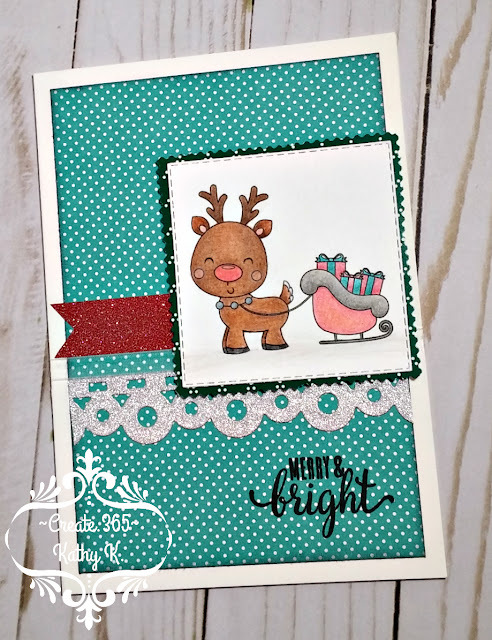 Such an adorable little reindeer image Kathy, and you've colored it beautifully. 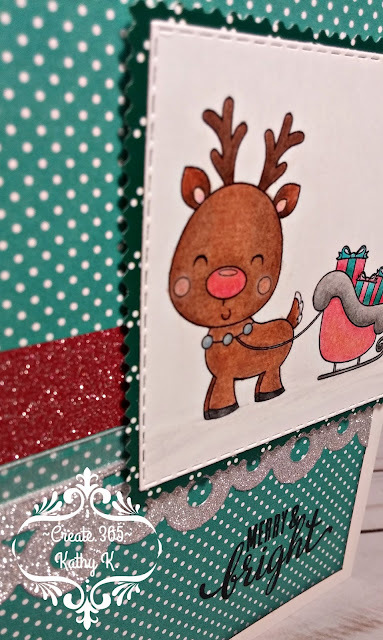 Love the addition of glittery sparkle on this wonderfully designed card.